Child safety is of the utmost concern to every parent. Specifically, parents of children on the spectrum face many daily safety challenges. 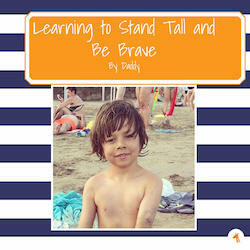 Together, Twigtale and Autism Speaks have authored teaching stories to help keep your child safe! You provide the personal photos and details, we provide the scripted story. Just upload your photos, edit, and order! 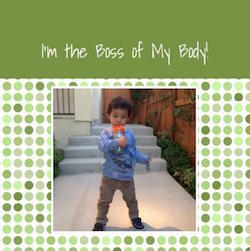 A portion of the proceeds from the sale of these titles will be donated to autism research. Over the last few years, accidental drowning accounted for over 90 % of total U.S. deaths reported in children with an ASD ages 14 and younger subsequent to wandering/elopement. 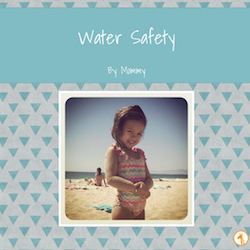 This personalized teaching story helps reinforce the rules for water and pool safety. Nearly half of children with an ASD attempt to elope from a safe environment. 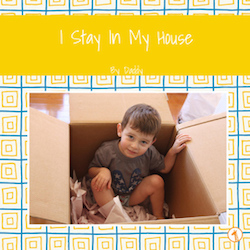 “I Stay in My House” walks through the importance of staying in the home and not leaving without talking to a parent or caretaker. Often times fear or trouble processing commands can make it difficult for children with an ASD to communicate with police officers. 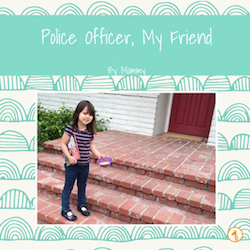 “Police Offucer, My Friend” reassures a child that a police officer is a friendly ally, and walks through steps the child can take to communicate with a police officer. To be used in conjunction with visual prompts often attached to doors, windows, and/or other routes to slow down and help deter wandering incidents. 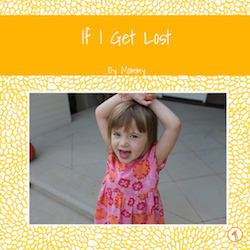 Helps reinforce the plan if a child should become lost. "If I get Lost" reminds a child of personal details to communicate (such as a caretaker's phone number and address) if lost. Scripted by safety expert Pattie Fitzgerald, this books introduces the concept of private parts. 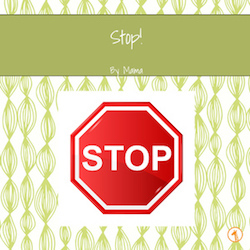 Written in collaboration with the PACER foundation – discussing what to do in the face of bullying.